sustainability Archives • Domino Plastics Company Inc. RESIDENTS of Indonesia’s second largest city Surabaya can now pay for the bus in a novel way – by trading in used plastic. The city’s mayor Tri “Risma” Rismaharini last month announced the roll out of the new Suroboyo Bus, comfortable, air-conditioned buses which are, importantly, accessible for disabled, elderly and pregnant passengers. The Plastics Industry Association (PLASTICS; Washington, DC), producer of NPE2018, has announced a 100% waste diversion goal for next month’s event. 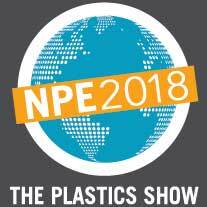 The goal demonstrates the association’s commitment to sustainability and aims to exceed the 87% of waste that was diverted from the last NPE show in 2015. LONDON — Ever since China announced last year that it no longer wanted to be the “world’s garbage dump,” recycling about half of the globe’s plastics and paper products, Western nations have been puzzling over what to do when the ban went into effect, which it did on Jan. 1. The answer, to date, in Britain at least, is nothing. At least one waste disposal site in London is already seeing a buildup of plastic recyclables and has had to pay to have some of it removed. Detroit — It should not be a shock to automotive suppliers that the plastics industry has an electric future. By 2025, electric and hybrid electric vehicles could account for 33 percent of total vehicle production worldwide, according to data from IHS Markit Ltd., and suppliers are being tapped by OEMs to put different composites and materials into real-world vehicle applications. Troy, Mich. — Mobility always has been at the core of the automotive industry, and now it’s also about to rock that same core. Autonomous vehicles are on the horizon. And even if that horizon is distant, the industry is preparing to design a new world where millions of people would gain access to the road if the technology can be brought to the mainstream. WASHINGTON — Industry has made more than 9.1 billion tons of plastic since 1950 and there’s enough left over to bury Manhattan under more than two miles of trash, according to a new cradle-to-grave global study.